Authorities have confirmed 12 people died in the fire, which engulfed the Grenfell Tower at 1 am on Wednesday, but the death toll is expected to rise. 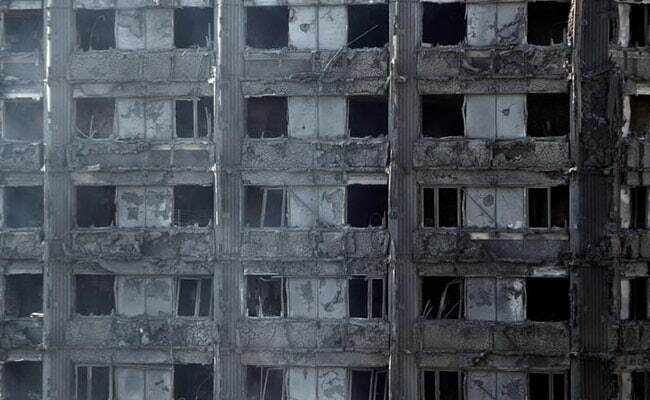 London: Firefighters have not been able to conduct a comprehensive search of the 24-storey block of flats in west London that went up in flames because it is not safe for them to walk to the edges of the building, the fire brigade chief said on Thursday. Authorities have confirmed 12 people died in the fire, which engulfed the Grenfell Tower at 1 a.m. on Wednesday, but the death toll is expected to rise. "Some of the internal structures are not regarded as safe at the moment, however the central core is, so my firefighters have been up to the top floor last night, they have done the initial brief search from the doorways," London fire chief Dany Cotton told ITV. "So although we've been up there we haven't managed to do a comprehensive search and until we can make the building safe then I really don't want to risk the safety of my firefighters at this moment in time," she said. Cotton said structural surveyors and urban search and rescue specialists would inspect the building on Thursday and once it was declared safe a full search would take place.